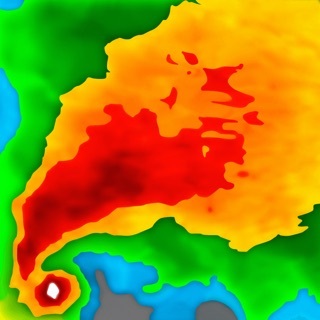 A classic, hand-crafted weather observation app created by Swackett (as seen on NBC's TODAY Show). 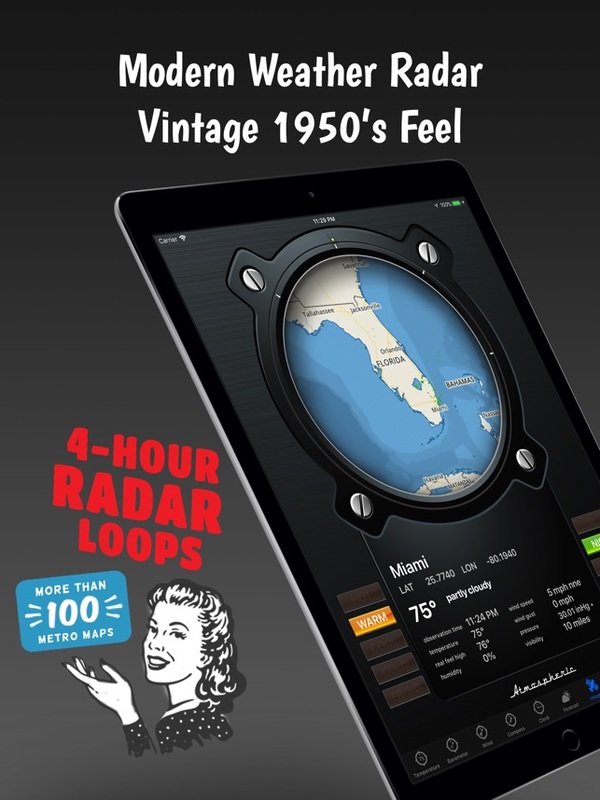 Atmospheric™ by Swackett® is an elegant weather observation instrument with a retro, 1950's-era feel. Replicating the look and feel of a mechanical device in every detail, Atmospheric's vintage gauges and dials are faithfully reproduced in stunning high resolution. 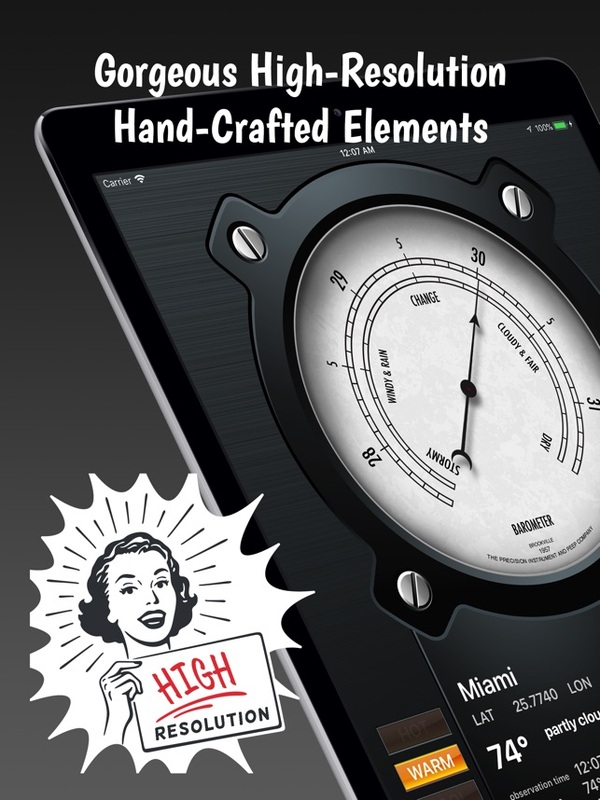 Special attention is paid to mechanical functionality — with the gauge needles even responding to subtle bumps and inertia (on iPad 2 and newer devices). 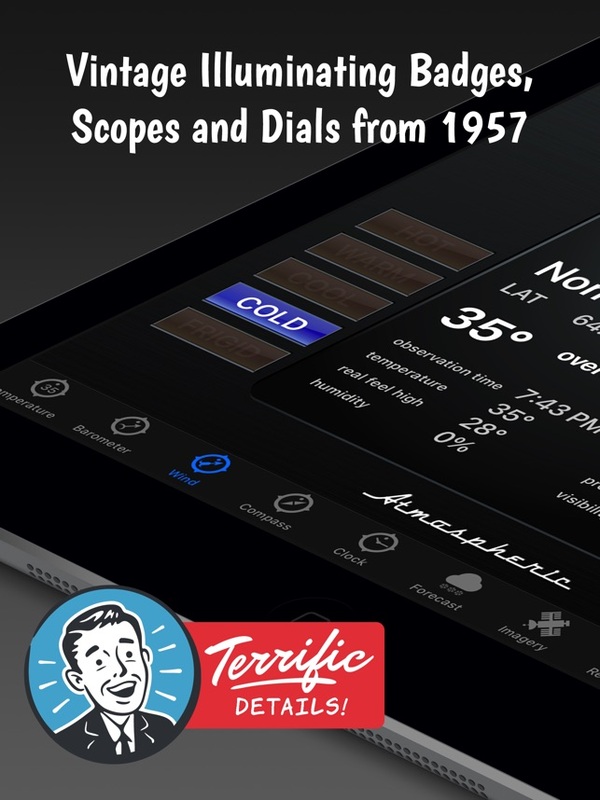 Atmospheric will transport you back to time when meteorologists, the aviation industry, and weather enthusiasts around the world used mechanical gauges and dials to observe weather conditions. 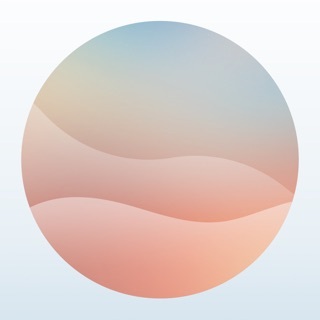 This app is a must-have for any iPad or weather enthusiast. Atmospheric displays detailed weather conditions and forecasts for over 2 million locations worldwide. 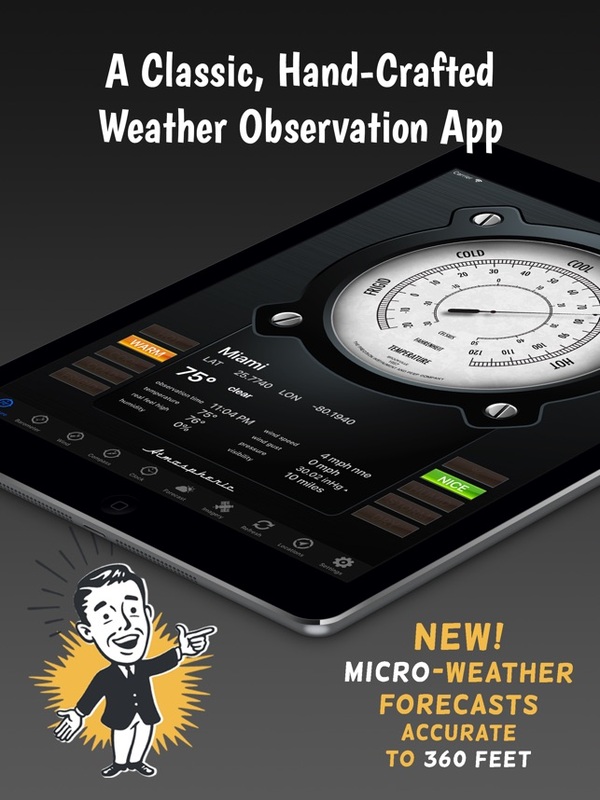 Transport yourself back to the early days of modern meteorology: download Atmospheric today! • Faster GPS pinpointing at launch for people in rural areas. Love the vintage feel and it has all the modern amenities. What a pleasant dichotomy!! Instruments are nice but there are no classic movies or tv as described. 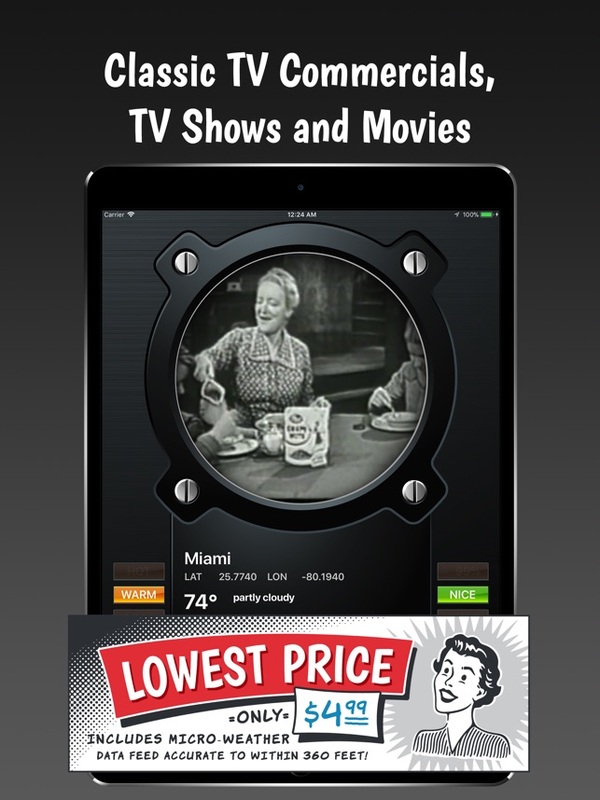 4/19/2018 I was instructed to touch the screws on the four corners of the gauges to receive classic tv.I tried this and they make about a tenth of a turn but other than that they do nothing. © 2018 by sweaterjacketorcoat.com, LLC.